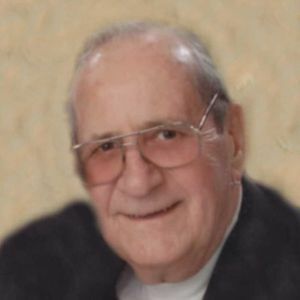 George L. Leonard, 93, of Owensboro, passed away April 2, 2019 at Owensboro Center. He was born June 11, 1925 in Fredericktown, MO to the late Frank and Alma Leonard. George was a World War II Veteran and a survivor of Iwo Jima. He was also a member of the American Legion, VFW and of the Marine Corps League. George enjoyed U.K. Basketball, St. Louis Cardinals baseball and until about the age of 90, was an active bowler. He was last a member of the New Generation Bowling League and played on the team "Pin Pals." George was also preceded in death by his step-father, John Brown; brother, Robert E. Brown and great-grandson, Camden A. Hancock. He is survived by a son, Randall J. Leonard (Sue) of Evansville; daughter, Carol J. Thompson of Georgia; grandchildren, Norman Hill, Emmie D. Neethammer (Mark), Leonard Thompson (Katie), Sara Springer (Scott) and Rachel Rosanova (Vince); and several great-grandkids, nieces, nephews and cousins. The time of gathering for the friends of George L. Leonard, and his wife Anna Ruth Leonard, will be Saturday from 11 AM till 12:45 PM at Glenn Funeral Home and Crematory, followed by a committal service at Rosehill Cemetery Chapel at 1 PM. Memories and condolences for the family of George L. Leonard may be shared at www.glenncares.com.